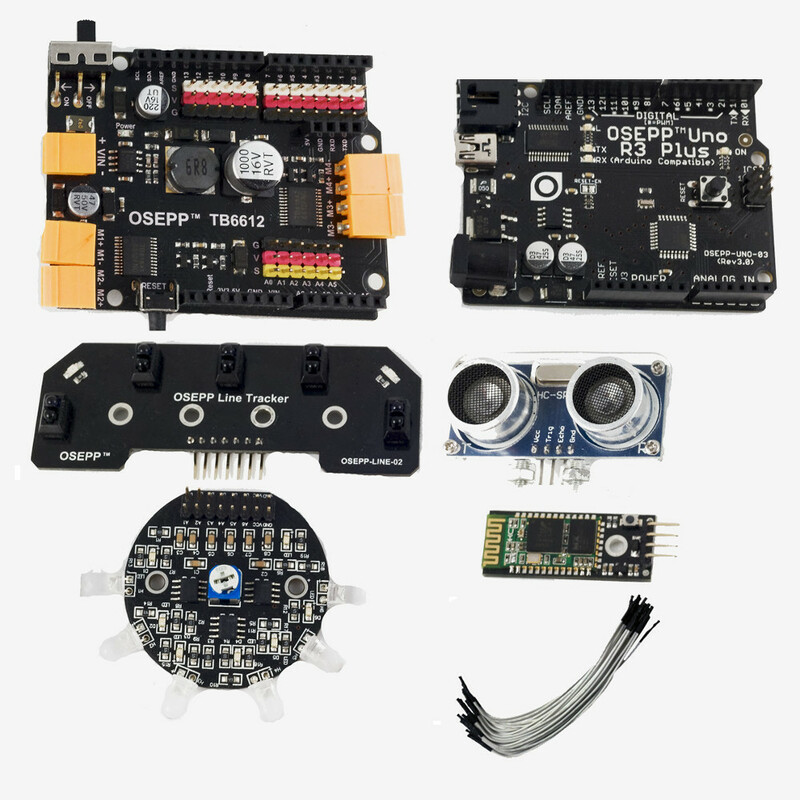 The Robotics Functional Kit adds smarts and control to your Mechanical Kits! 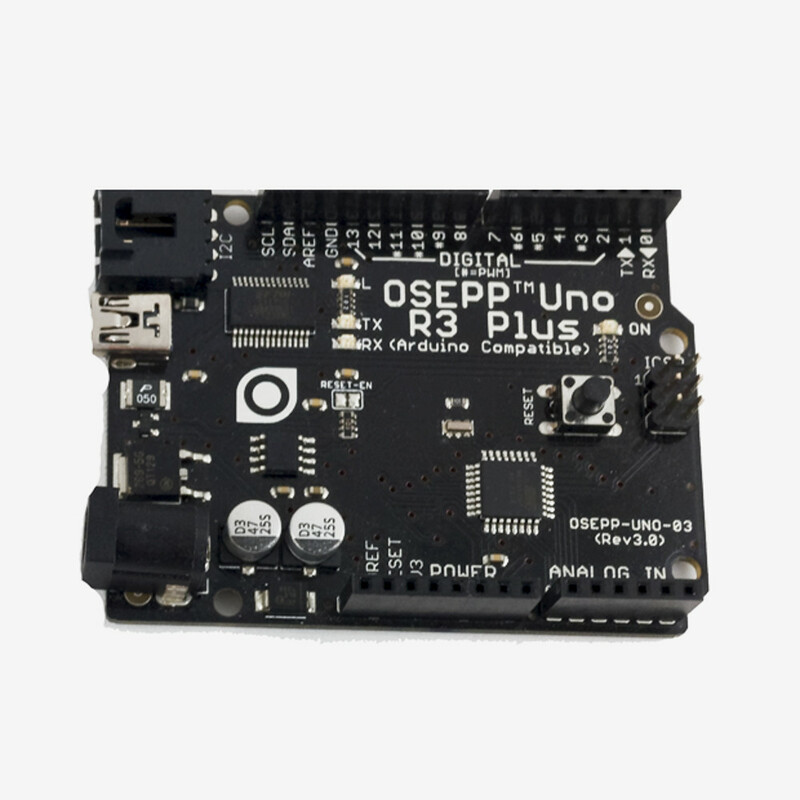 This kit includes an OSEPP UNO R3 PLUS micro controller board, a high voltage TB6612 Motor Shield and sensors that gives users the most commonly requested robotic functions. All of the assembly instructions and code are open source and downloadable. 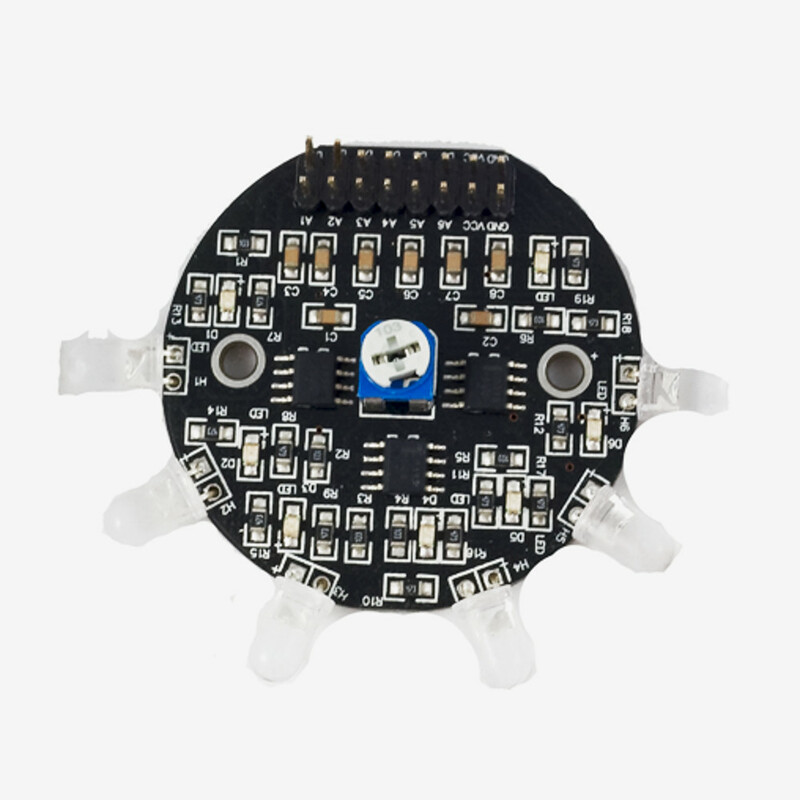 Bluetooth (HC-06) Module – This module allows the user to control their project using their Android smart device. Free downloadable Android App available. 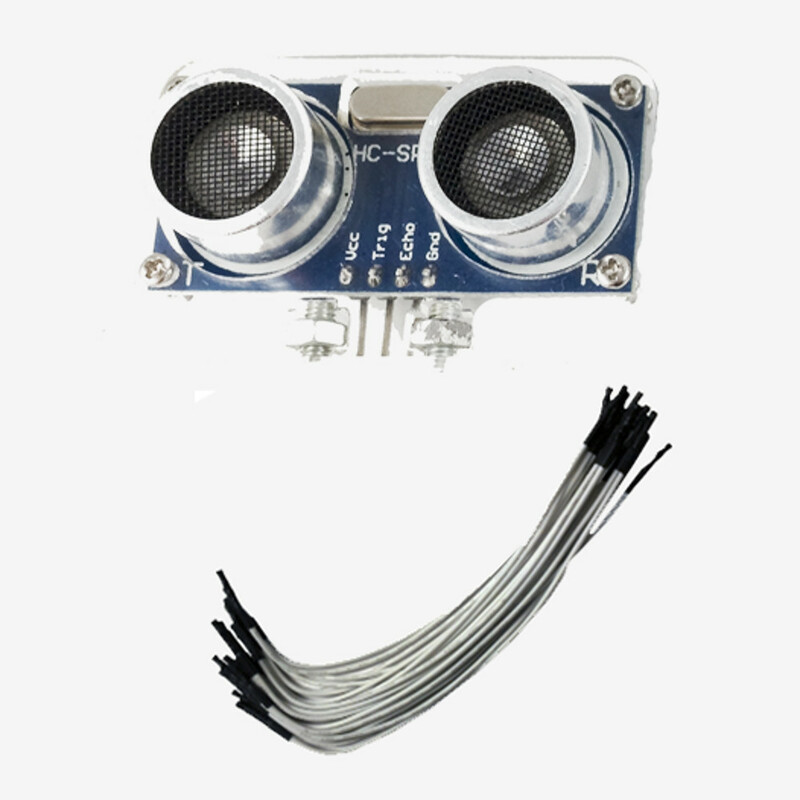 Ultrasonic Sensor – This module provides object avoidance function. 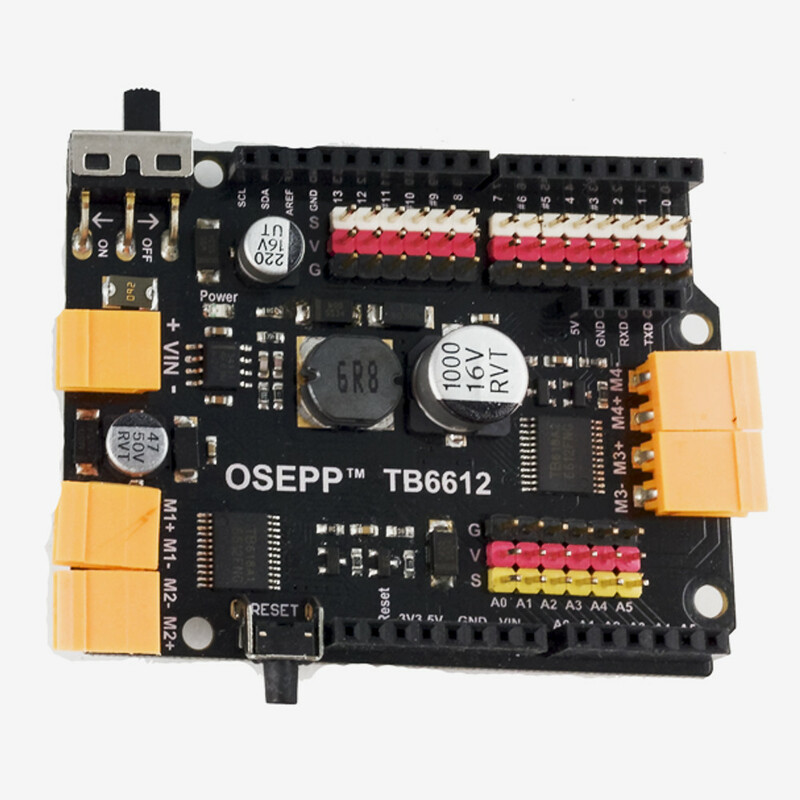 IR Follower – With this module, you can turn your flash light into a remote control. Line Sensor – This is no typical line sensor. Most line sensors in the market has one sensor so it is sensitive to the width of the line it is trying to follow. 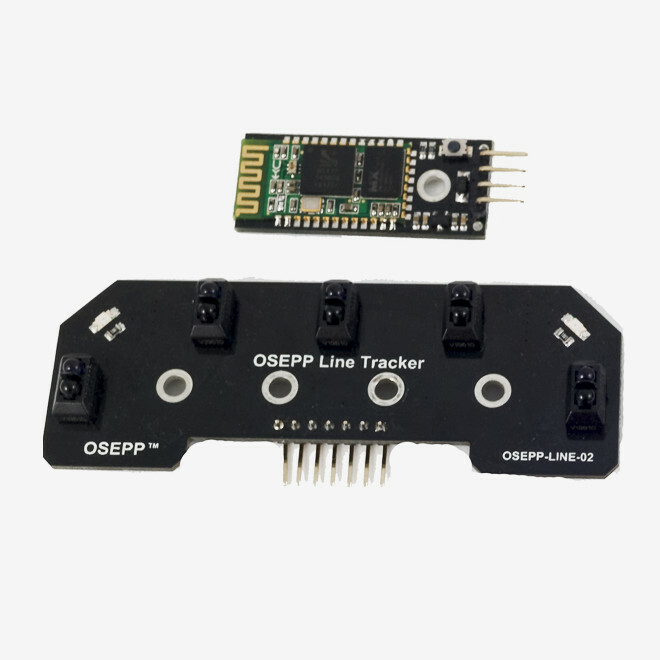 Our sensor module has FIVE sensors so it can follow lines of different widths and with increased accuracy. Works best following black lines on white background.